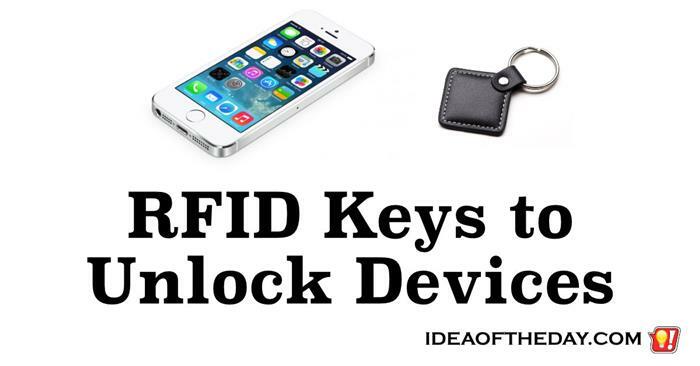 RFID Keys That Un-Lock Devices When You Are Next To Them. Don't you hate having to type in your passwords every 5 minutes? A lot of cars today have a new feature that basically makes keys obsolete. All you need to do is walk up to your car, and the door unlocks. Then you don't even need to insert the key, just hit a button and off you go. What makes this possible is a small device that you carry with your in your pocket or your purse. As long as you have the device, the doors unlock, without hitting any buttons, and you can drive it without even taking it out of your pocket. There's no reason why cell phones and other devices can't do likewise. Basically, you would purchase a "Key", then simply link it to your device(s), and whenever you are within a few feet of the device, it bypasses the password.